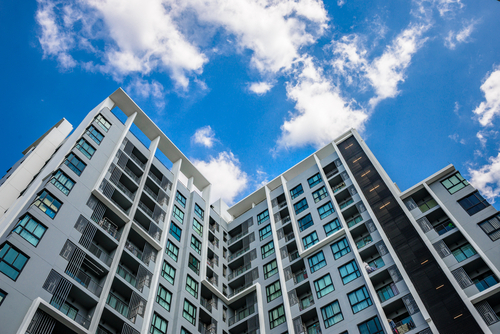 A Chicago judge has sanctioned a litigant and his lawyer more than $1 million for filing frivolous claims against a condo association and nearly every one of its residents, as well as their attorneys. Judge Margaret Ann Brennan said litigant Marshall Spiegel and his “willful enabler” lawyer John Xydakis had brought claims with “no basis in law or fact” and had “shown complete disregard for the judicial process through their egregious conduct.” The Cook County Record and Law360 have coverage of four sanctions orders issued by Brennan on March 29. The sanctions cover attorney fees and the condo association’s increased insurance costs. The sanctions will be paid to the 1618 Sheridan Road Condominium Association; to condo owner Valerie Hall and her law firm, Duane Morris; and to the condo association attorney, Michael C. Kim. Duane Morris partner John Schriver told the ABA Journal that the $1 million sanction could be a record in Cook County. In his 48 years of practice in the county, he said, he has never seen a sanction that high against an individual attorney and client. Brennan ruled in consolidated cases arising from a lawsuit filed by Spiegel and Xydakis that sought to oust Hall from the condo board. The suit claimed that Hall couldn’t be a board member because she was not a unit owner. Hall had denied the allegations and provided a copy of the warranty deed as proof of ownership, but Spiegel and Xydakis were undeterred. Additional pleadings were filed, and more parties were sued, including Hall’s lawyers. Claims included theft, slander, harassment and stalking, although they had no factual basis, Brennan said. Attorney fees rose while the living environment for the condo residents became unbearable, according to Brennan. Spiegel made claims about empty water bottles in front of his doorway, voicemails left on his answering machine, lawn furniture purchased for common areas, neighbors hiding in bushes, and bylaws preventing shirtless massages next to the pool. Spiegel sought to amend pleading after pleading, recycled allegations in new filings, issued “voluminous” subpoenas and discovery requests, and filed “countless and irrelevant” motions. Claims were filed in state and federal court, as well as in the Illinois Department of Human Rights. “The mess that has typified Spiegel’s pleadings, motions and briefs across the multiple lawsuits has been used to create confusion, evade decision, deceive the court and ultimately harass the litigants,” Brennan said. The deadline for payment is May 1. “The actions of Spiegel and Xydakis are simply obscene,” Brennan wrote. Xydakis told Law360 that the sanctions decision “lacks any factual or legal basis and will certainly be appealed and overturned.” He termed the decision “outrageous sanctions retaliation” for a bid to disqualify Brennan. The case is 1618 Sheridan Road Condominium Association v. Spiegel.